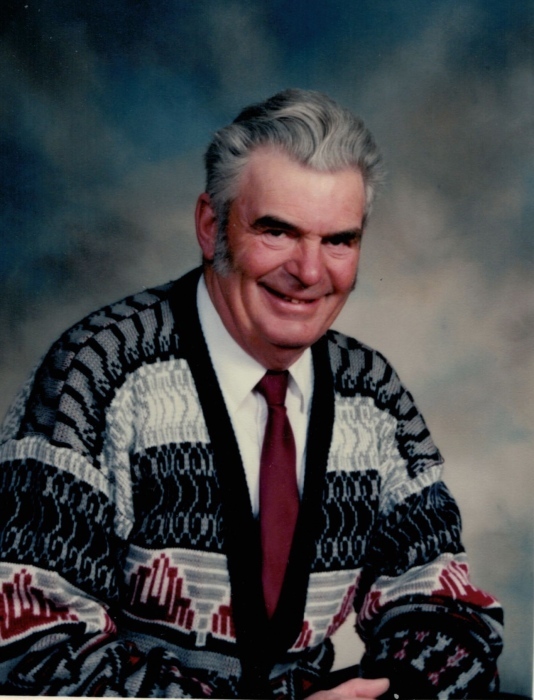 Patrick Edward King Age 85 passed away on October 6,2018 at the Stony Plain Hospital. He was the husband of Jean King. They shared 61 years of marriage together. Born in 1933 on September 12, in the town of Marcelin , Saskatchewan. He was the son of Edward and Cecil King.He is survived by his wife Jean, and his son-in-law Leo Rondiak, also, his children Randy (Maureen) Murray ( Bev) Sharon (Darren) Kelly (Kelly). His Grandchildren, Madeline, Amy, Matt, Kim, Chantel, Derek, Daren, Isabelle, Emma, Olivia, and 6 Greatgrand children. He is predeceased by his parents Edward and Cecil King, His brothers,Leo and Francis. His daughter Darlene. The Prayer service will be held at St. Joseph Catholic Church on Sunday October 14, 2018 at 7:00 p.m.
Funeral service is Monday October 15, at 11:00 A.M. at St. Joseph Catholic Church with interment at the Wabamun Cemetary. Memorial donations in lieu of flowers may be made to the Cross Cancer Institute.